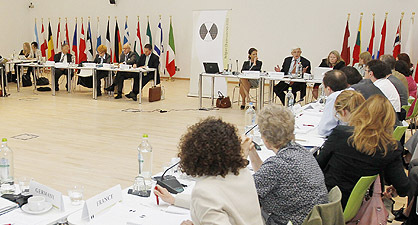 IHRA currently has 31 member countries, eleven observer countries and seven Permanent International Partners. Membership is open to all democratic countries, and members must be committed to the Stockholm Declaration and to the implementation of national policies and programs in support of Holocaust education, remembrance, and research. Member countries are encouraged to develop multilateral partnerships and to share best practices.